The Bay Club is a hospitality company which operates active lifestyle resorts chains. It runs around 24 clubs spread throughout nine campuses in California. Its current headquarters is in San Francisco. The club provides guests with a wide selection of activities to choose from, ranging from sports activities, yoga, Pilates, and fitness training. The club also offers group exercise classes including cardio, Zumba, and tai chi. The leisure resort opened in 1977 as the Western Athletic Clubs. Today, it has 24 country clubs in San Francisco, Marin, Redwood Shores, Silicon Valley, Los Gatos, Santa Barbara, San Diego, and Los Angeles. Bay Club takes pride in its laid-back atmosphere. The secret to their success lies in the many child-centered activities they offer which promotes family bonding time. The club has over 85,000 members, and is home to around 3,400 associates. It is open daily, with operating hours from 5:00 am to 11:00 pm on weekdays and from 7:00 am to 9:00 pm on weekends. Benefits Of Joining Bay Club / Why Members Like Bay Club? Joining Bay Club members can enjoy over 125 complementary fitness classes. They’re also entitled to make advanced bookings for sporting and social events. Members have access to the club’s sports facilities, including complementary golf, tennis, and squash. Members also gain invitations to private events, and earn lifestyle points which they may use in the club. They may also opt to avail of spa and childcare services. The Bay Club’s gym has trainers who can match the member’s specific fitness needs. It offers fitness packages both for small groups and for private trainings. Each trainer should have at least a Bachelor’s degree in any health-related field, and must be a holder of either a NASM, ACSM, NSCA, or ACE certification. Two years of work experience in the fitness industry is preferred. The Bay Club offers spacious carpeted locker rooms with complete amenities like toiletries, hair dryers, vanity mirrors, and leather chairs. It also has clean shower rooms with ample lockers. The club generally caters to the younger crowd, or crowds with young children who prefers some leisure time. Rooms are big enough that there is no problem in looking for weights even during peak hours. Aside from fitness centers, the club also offers basketball and racquet sports courts for members. Some locations also feature restaurants and spa centers for post-workout relaxation. A daycare is also available for guests with children, however the overall atmosphere of the gym is not child-friendly. The daycare also operates on limited hours during weekends. The Bay Club boasts of employing well-trained and knowledgeable staff members. However, there is a chance for members to encounter personal training reservation problems during peak hours and busy days. The Bay Club provides members with the option to pay monthly or annually. Members who want to avail of a Single Club Access have a monthly fee of $60.00 or an annual fee of $720.00. Those who prefer to enjoy the Executive Clubs Access pays $95.00 per month, or $1140.00 per year. The club also has an initiation fee of $39.00. A Family Add On option is also available. Children aged 21-24 may be added for $50.00 per month, while those aged 25-29 may be added for $75.00 per month. Members can choose from different membership categories, such as Junior Membership, Young Professional Membership, Senior Membership, Single Site Membership, Campus Membership, Regional Executive Club Membership, Club West Membership, and Country Club Membership. Guest passes at the Bay Club are available for $18.00 per day. If the guest arrived with a member, passes are available for $15.00. A card for five daily visits is also available for $70.00. The club also offers a 3-day trial pass for guests. During this trial period, they may enroll in workout classes, enjoy the club’s sports facilities, and gain access to its dining facilities. The club has a range of facilities which caters to sports, fitness, lifestyle, and family-friendly amenities. Among its sports facilities include tennis courts, indoor cycling studios, squash courts, and swimming pools. Some club locations also offer a golf course. All club locations offer fitness amenities which include yoga and Pilates classes. Guests and members may also avail of personal training sessions or group exercises. The Bay Club also offers dining amenities, a sanctuary spa, a social club, and a business suite. Members may also host private events on site. The club also boasts of a range of family-friendly activities and amenities. The in-club childcare center entertains children with movies, video games, and themed Kids Nights. A kids’ camp is also available. 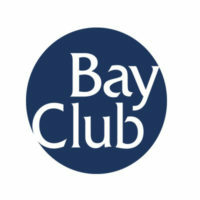 For more information on Bay Club membership and cost, visit official site .